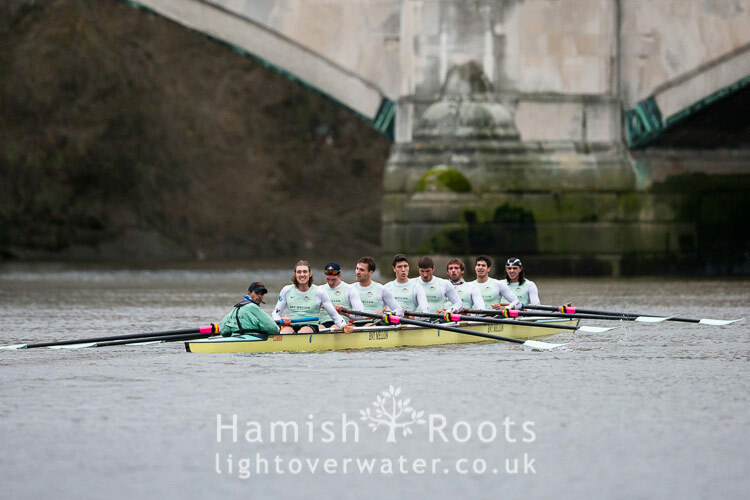 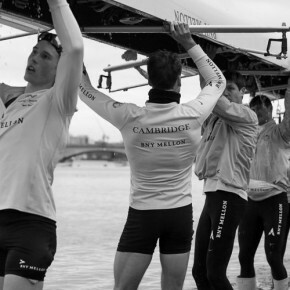 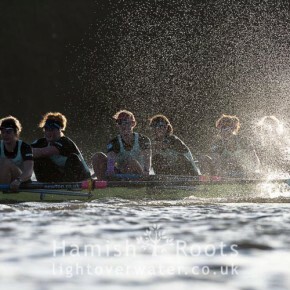 Crews from the Oxford and Cambridge University Boat Clubs raced along the Championship Boat Race course in their annual Trial Eights fixtures this week. 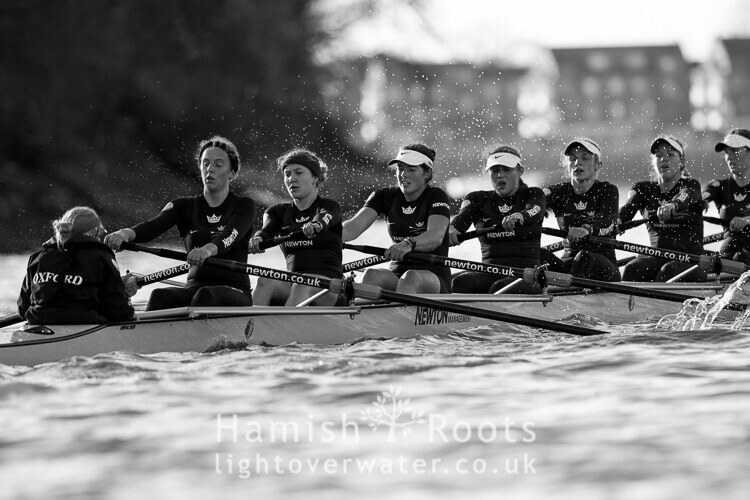 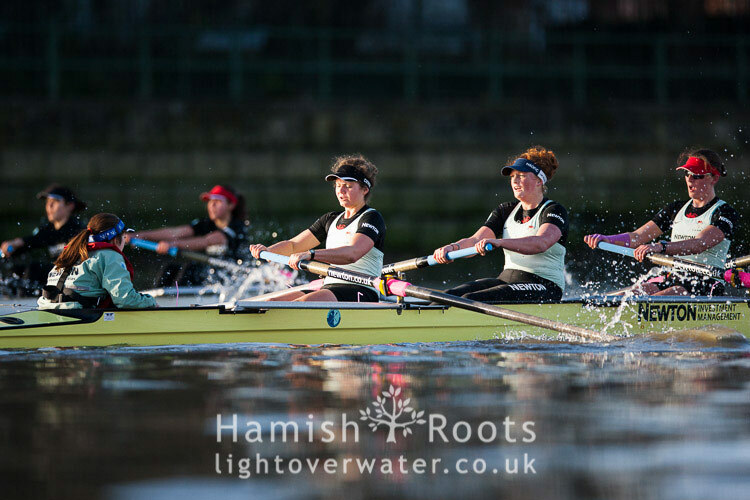 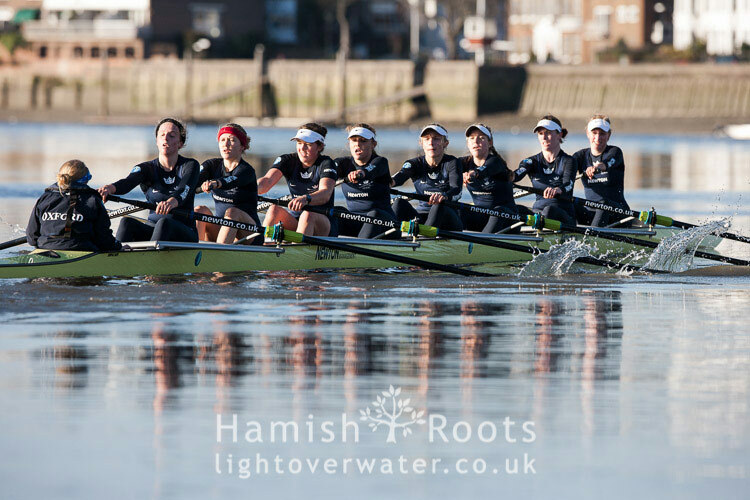 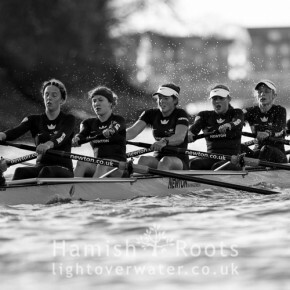 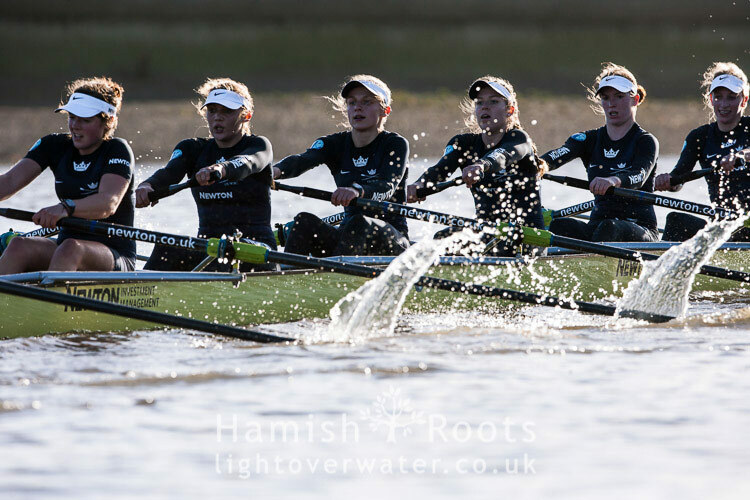 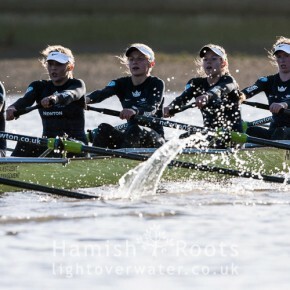 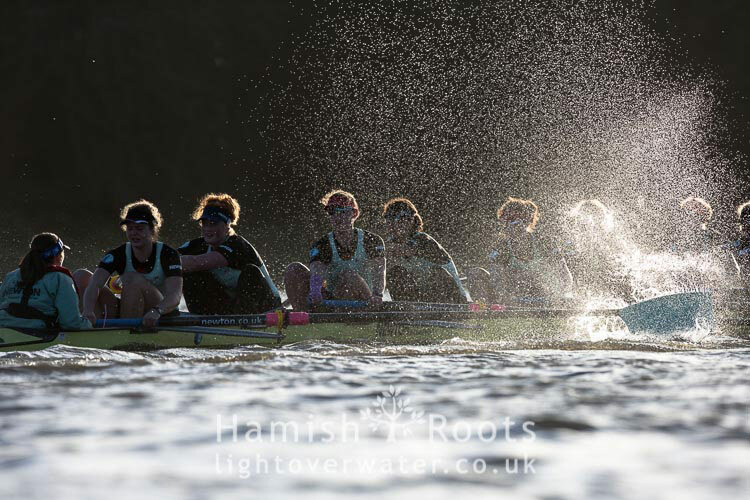 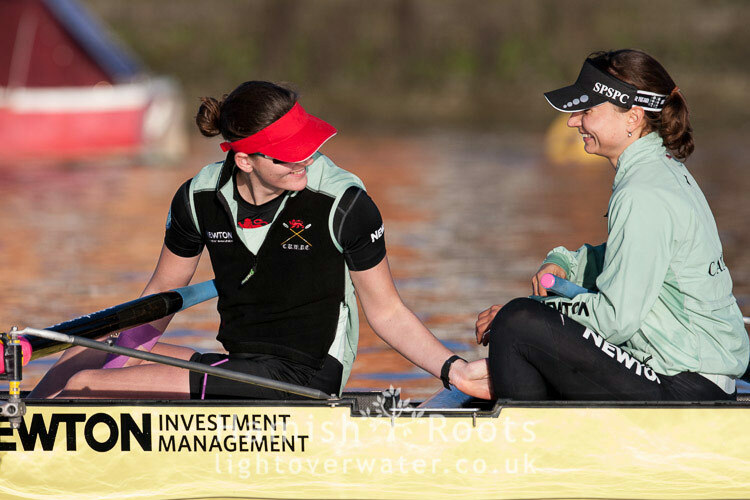 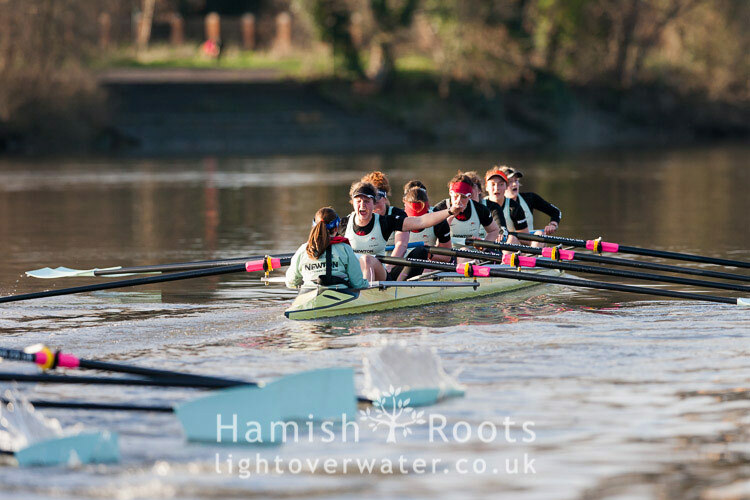 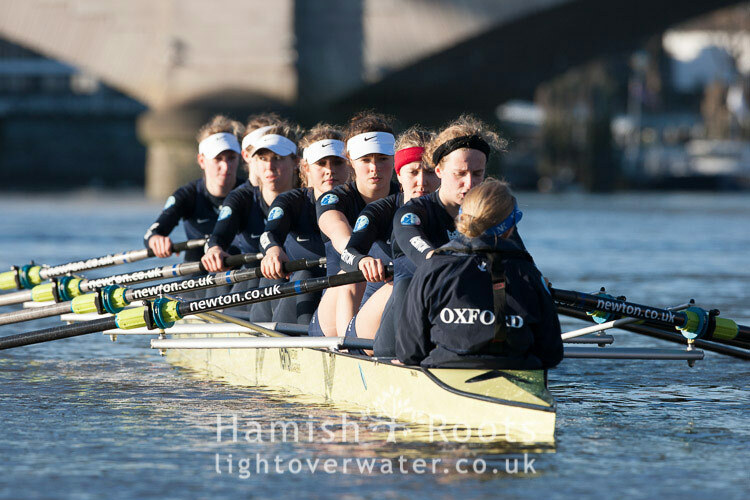 For the first time ever in the event’s history women held their trial eights races on the course, in preparation for their move to the Tideway in 2015. 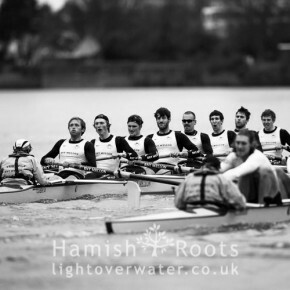 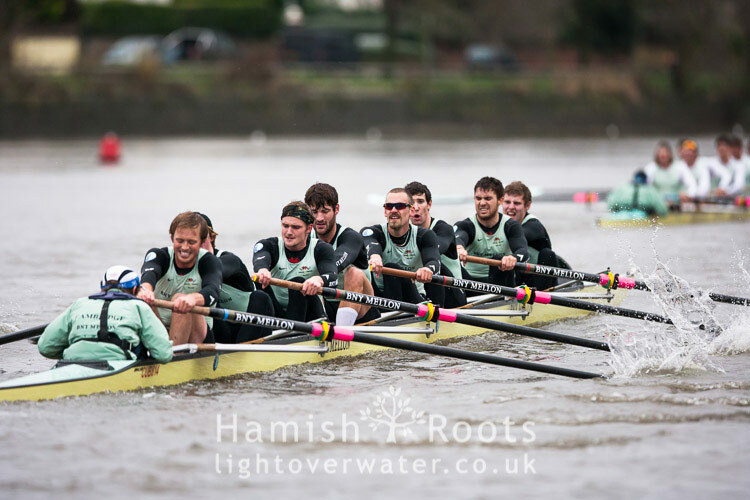 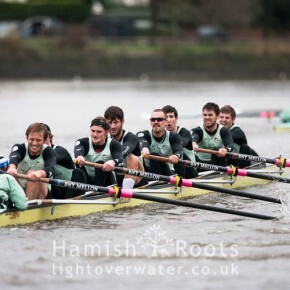 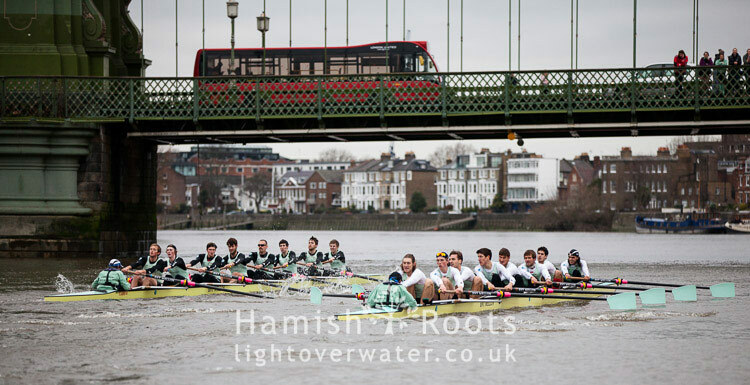 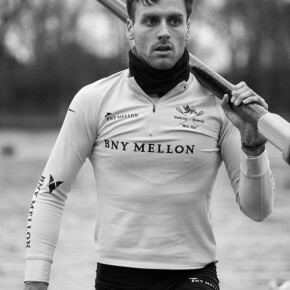 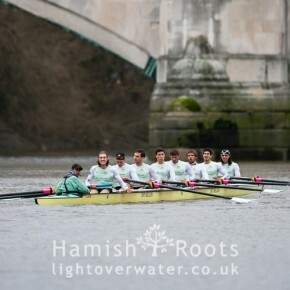 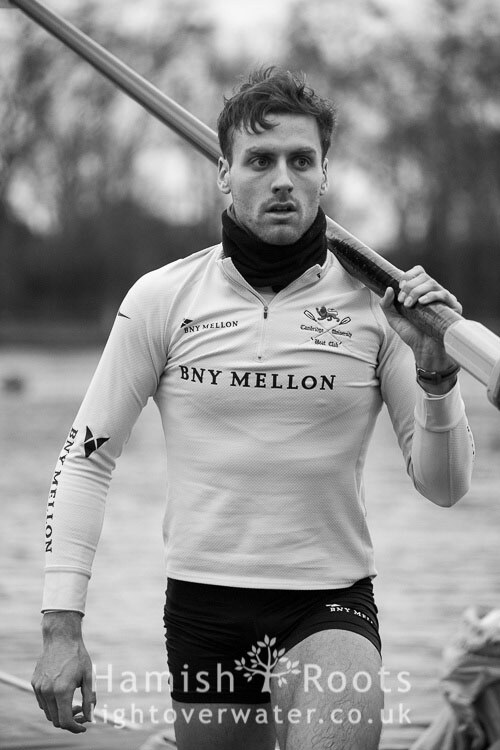 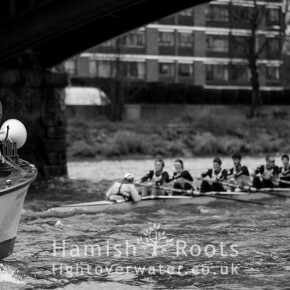 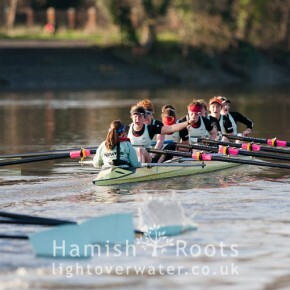 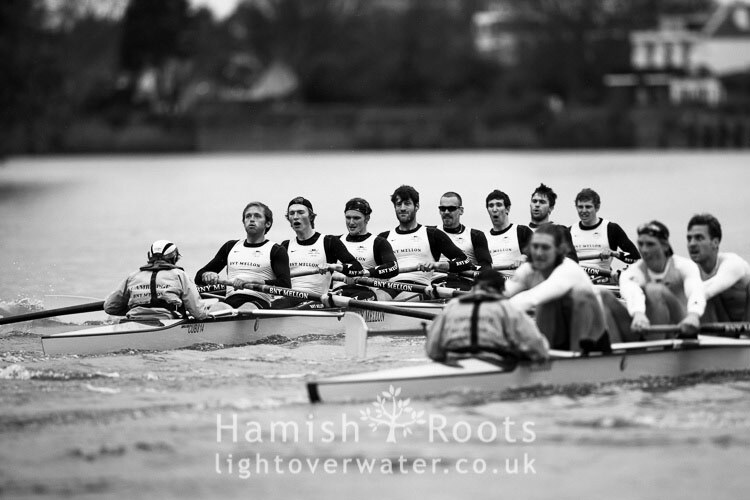 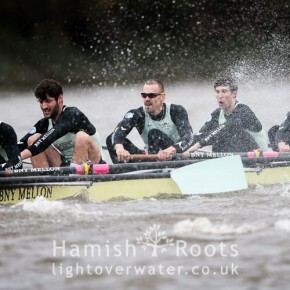 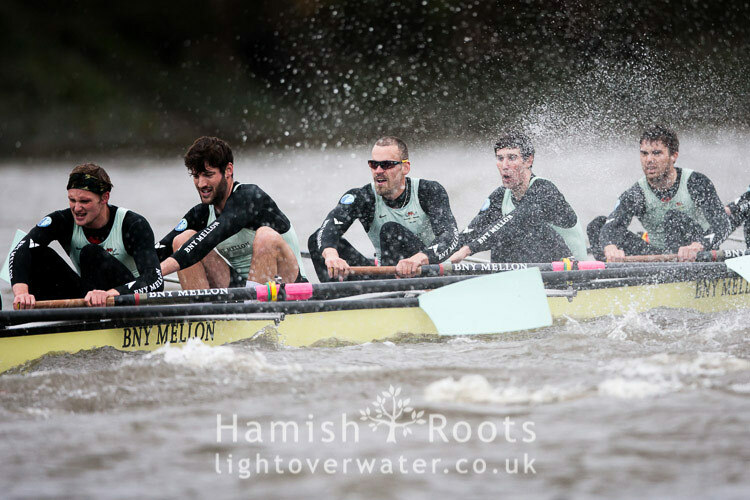 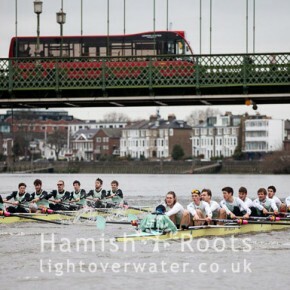 The format of trial eights is for each squad to field two evenly matched crews which then race side-by-side in an “as close to the real thing as possible” battle but instead of a face-off between the longstanding rivals it’s teammate vs teammate, a chance to prove your worth and stake a claim to the top boat. 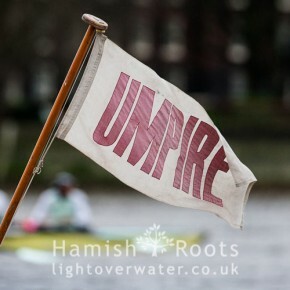 It’s also somewhat of a tradition to pick as ludicrous or risqué names as possible to draw some humour into the otherwise serious event as an umpire orders a crew to correct their steering. 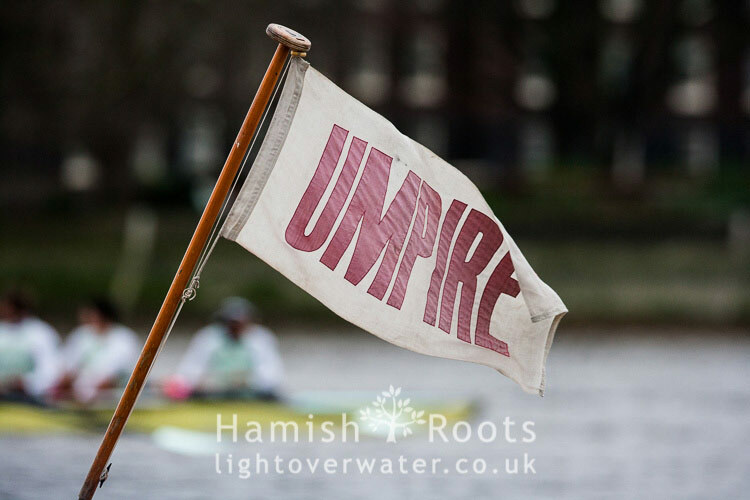 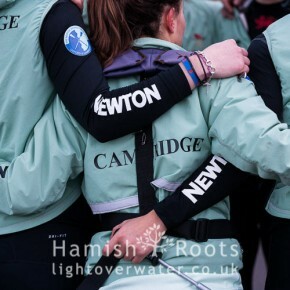 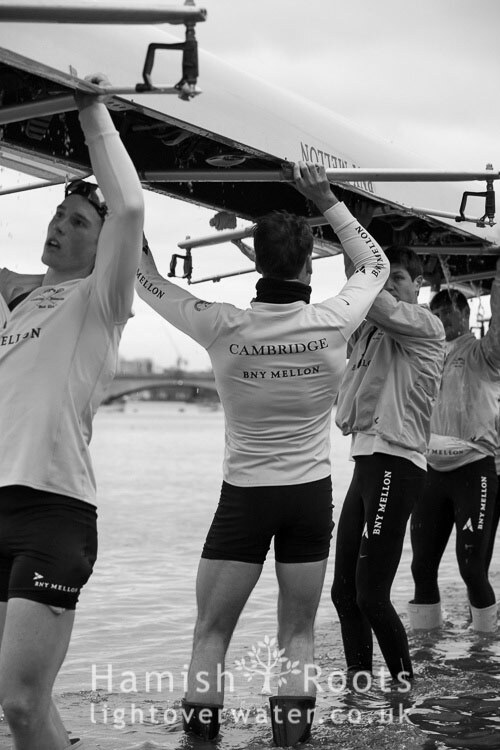 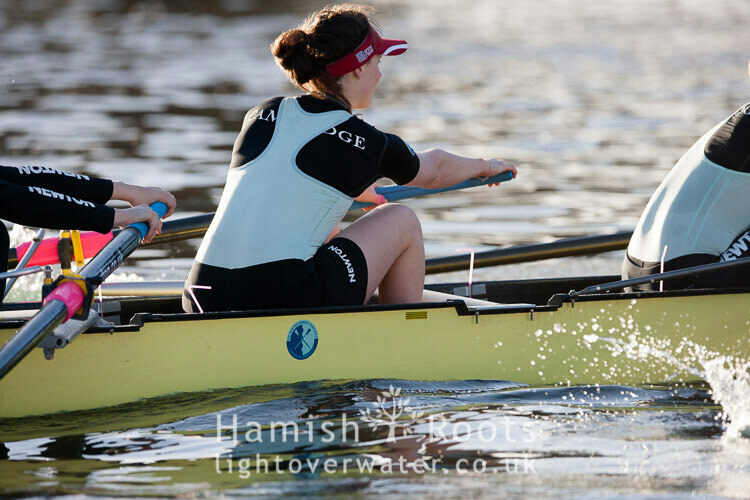 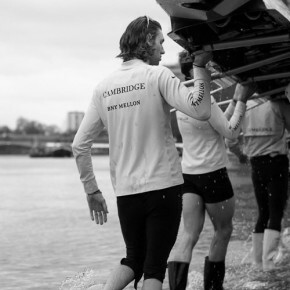 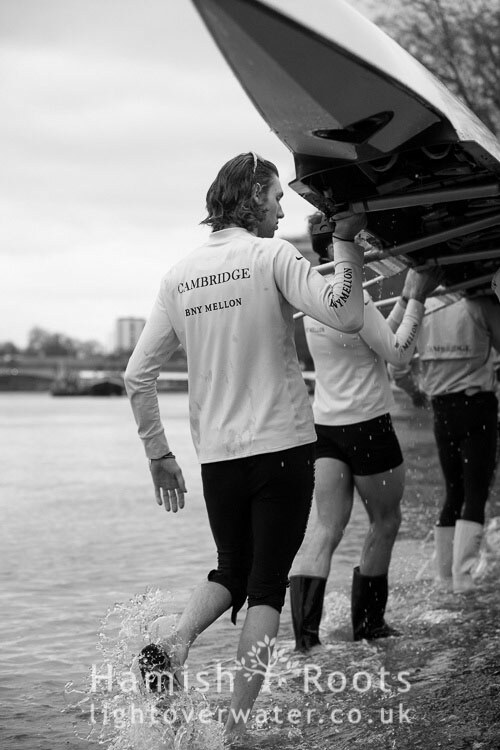 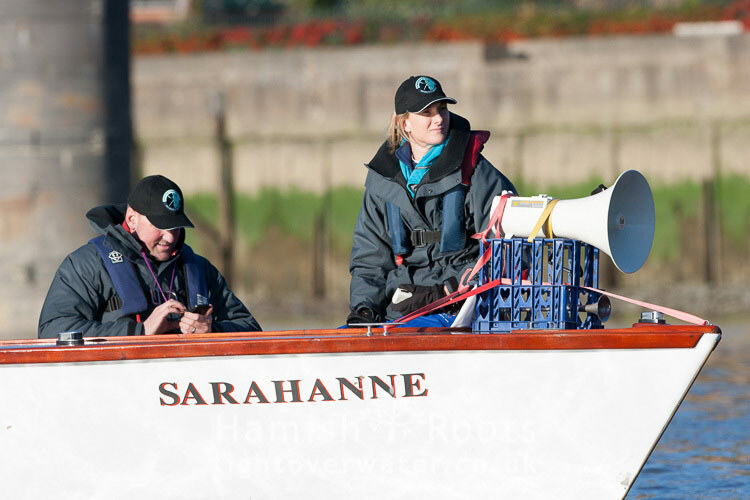 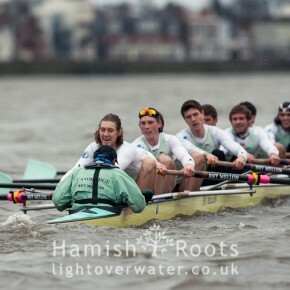 This year was no exception with Cambridge’s crews calling themselves “Sea Shells” and “She Sells”…any umpire that can make those commands distinguishable in the heat of the race deserves a medal! 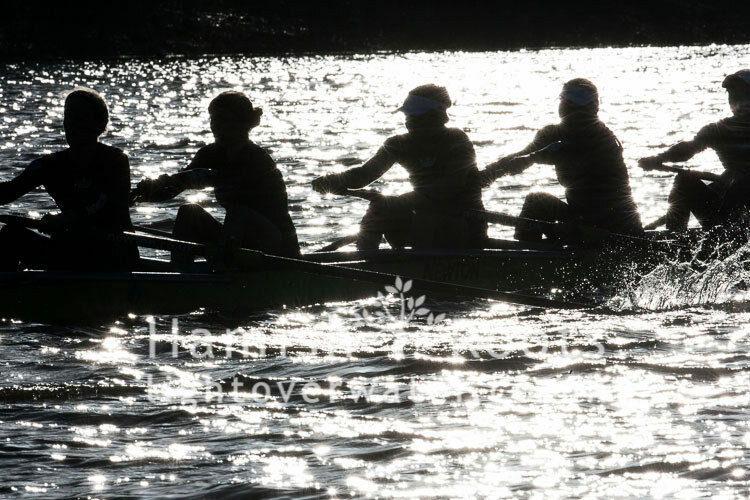 The men were due to race on the first of the two days, with the women racing the following day. 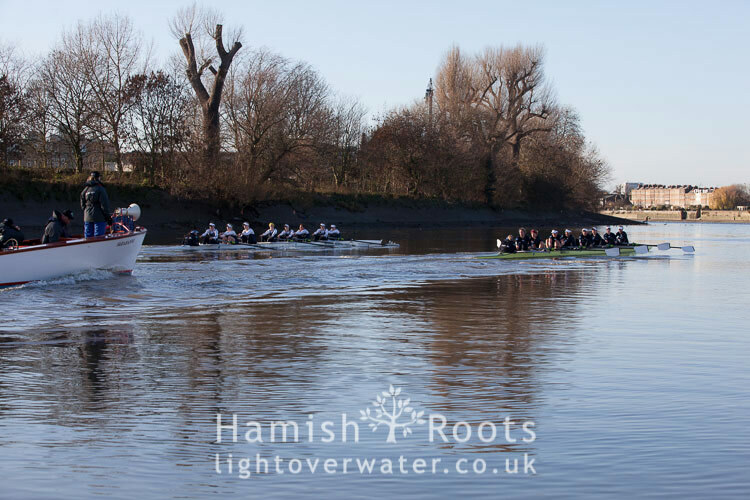 The conditions for each day could not have contrasted more; dark and moody for the men’s race and bright with clear blue skies for the women. 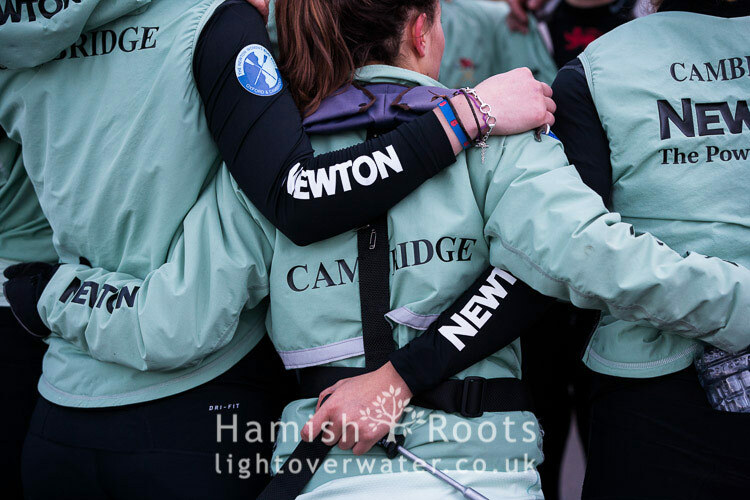 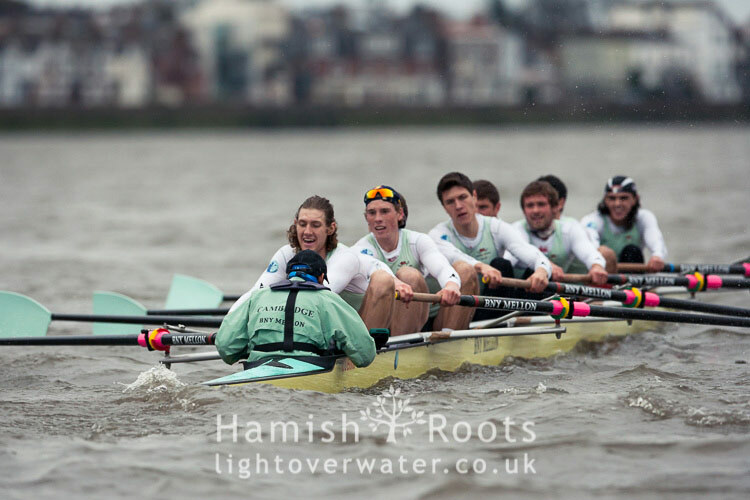 Unfortunately Oxford’s men’s team did not make an appearance due to various illnesses and injuries but Cambridge were on form to race in a tight battle along the course. 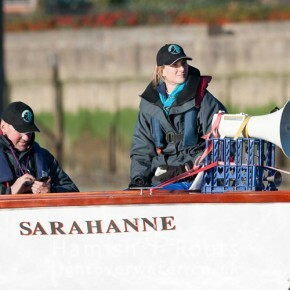 Only an erroneous buoy struck by one of the crews would be the deciding factor in who would win the contest. 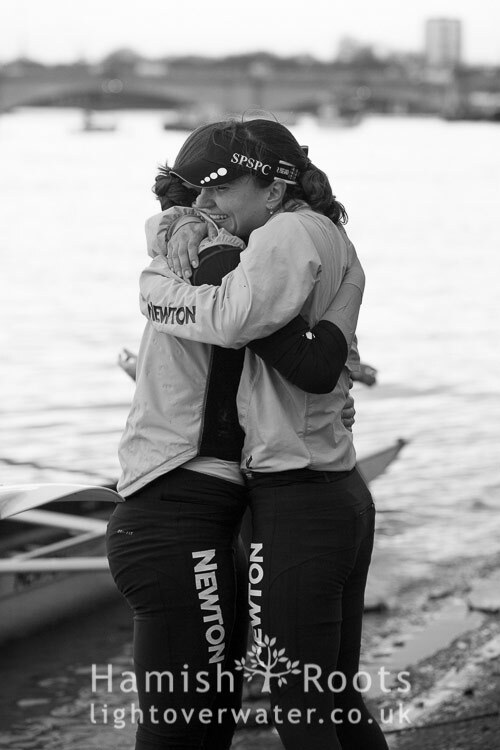 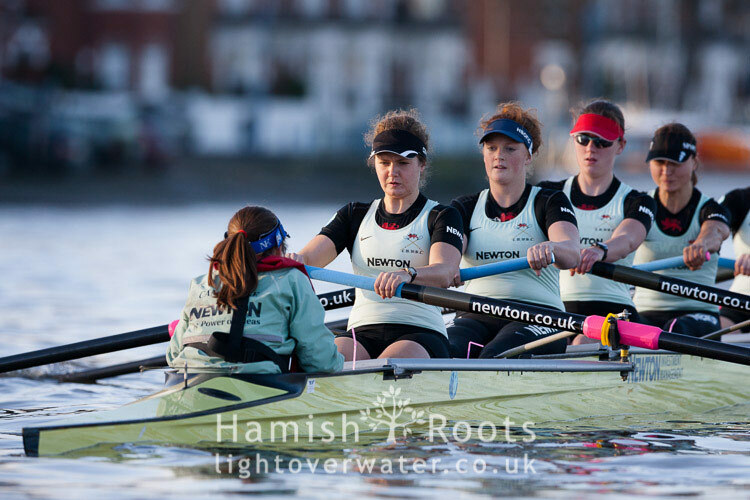 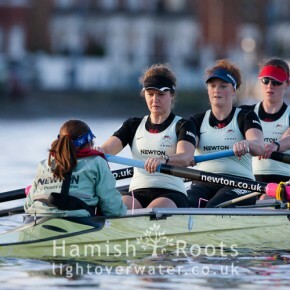 The women, who will still race in Henley-on-Thames (for one last time) in 2014 before coming to the Tideway for 2015 and thus bringing a parity between the women and men’s races, could not have wished for better conditions for their inaugural races. 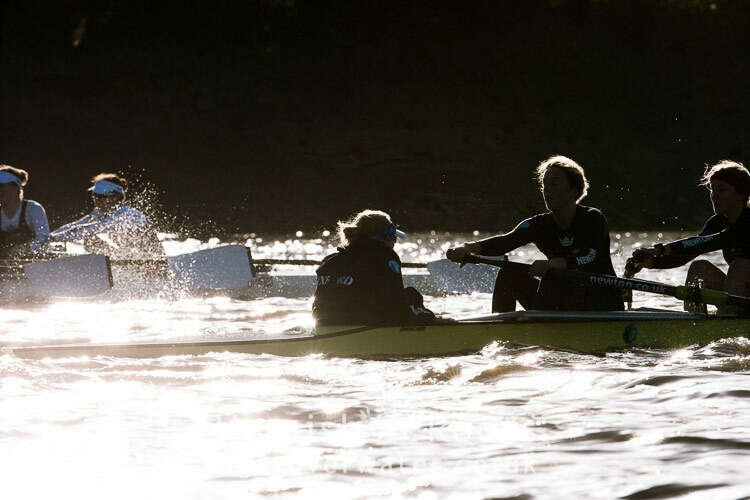 The move is widely regarded as a positive step for the competition, particularly after the continued success of British Rowing’s women as far back as the Sydney Olympics (x1 Silver), through Athens (x2 Silver, x1 Bronze), Beijing (x1 Silver, x1 Bronze) and to three Gold medals at the London 2012 Olympic Games (more than the men who secured one). 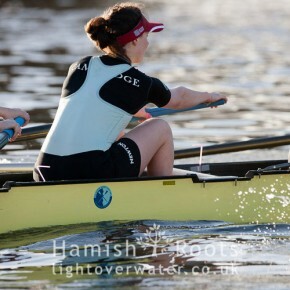 The timing could not be better. 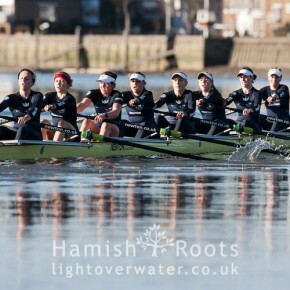 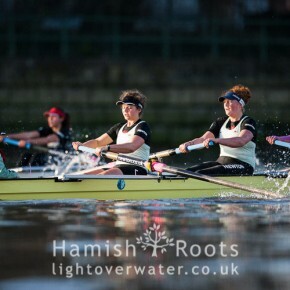 Both of the women’s trial races, umpired by Cambridge Alumnus and Olympian Sarah Winkless, proved to be exciting contests and hard won races for the victors with the lead changing several times in each case, 2015 is shaping up to be a very interesting contest on the Tideway and one not to be missed. 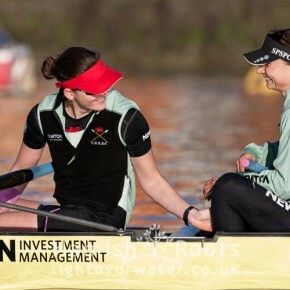 The future is very bright indeed! 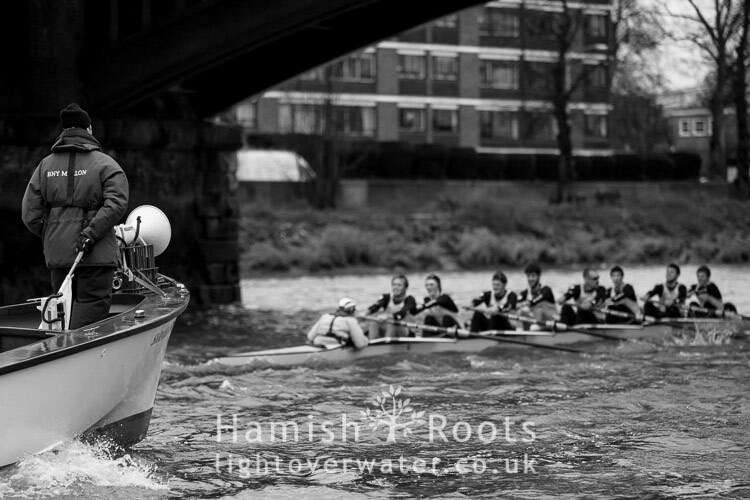 And, with only a few days until the end of 2013 all that remains is to wish you all a very Merry Christmas and all the best for 2014!